It always makes me so happy and fills my heart to see our community to come together as we did on Friday to lunch on the lawn with our students. It was a beautiful day and the company made it perfect. I love seeing families together, friends together and a mix of both. Thank you for making our last Lunch with your Child of the Year a success! Thank you to all there dad's who came out for the annual Dad'd Club Corn Hole event today- It was another success! Thank you to Clay Christensen, Eric Trimble and Mike Wong for all your hard work and organization. Please join us on Wednesday, April 17th at 8:15 am for our PTA Meeting in the MPR. In addition to discussing upcoming events, we will have Guest Speaker, Shake Ovasapyan- Chief Emergency Department Nurse Practicioner at USC Verdugo Hills talk. It will be informative and enlightening. Finally, Friday is a Collaboration Day with 11:35 dismissal. The submissions deadline for the next Cougar Tracks email is April 17th. Read the policy/guidelines. There are many ways to enjoy Home Tour Day! Open 10am - 5pm with Constellation Coffee, the Green Truck, Acai Bowl Truck and many vendors selling clothing, jewelry, housewares, art, wine, pottery and more! Just in time for Mother's Day! 6 - 8pm - Los Gringos, Pisoni Vineyards & LCHS Jazz Band Jordan & the Pebbles. Perfect way to end Home Tour day and kick-off Cinco de Mayo weekend! Purchase tickets, sponsorships or volunteer by clicking HERE. Please come join the festivities on Sunday May 5th, from 9 am-12 noon as the LCHS TACH class (Teens for the Advancement of Children's Hospital) holds their annual TACH Bash fair and silent auction after the Flintridge Guild Chocolate Run at Memorial Park. Activities include a bounce house, colored hair, face painting, fishing for prizes, bucket basketball, pie-in-the-face, and a fantastic silent auction. Please click on the following link(s) for additional information: fgch.la or tach-teen-guild. 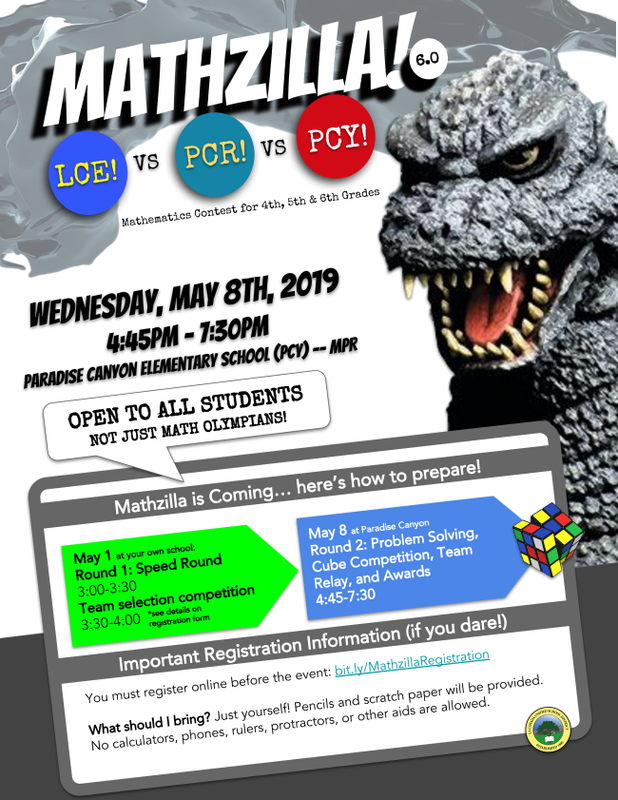 PCY will host the sixth all-district Mathzilla competition for grades 4, 5, and 6 on Wednesday, May 8th from 4:45 to 7:30 PM. The Speed Round and Semi-final Team Competition will be held at your child's school on Wednesday, May 1 from 3-4 PM. Your child won't want to miss out on the thrill of competing in the individual competitions, the Rubik's Cube competition, and cheering for their teams in the relay competition. The event will culminate with the presentation of the coveted School Trophy. Final Flamingle! Last chance to join the party! Last and final year of this flock of families hosting the festive Flamingle. Join us at a progressive party at three houses for drinks, hours d'oeuvres, dinner and dessert. Families hosting: Turner, Weber, Carmack, Gish, McClure, Clark, Artura, Kazak and Christensen. Saturday, April 27th from 5:30-10. Interested? 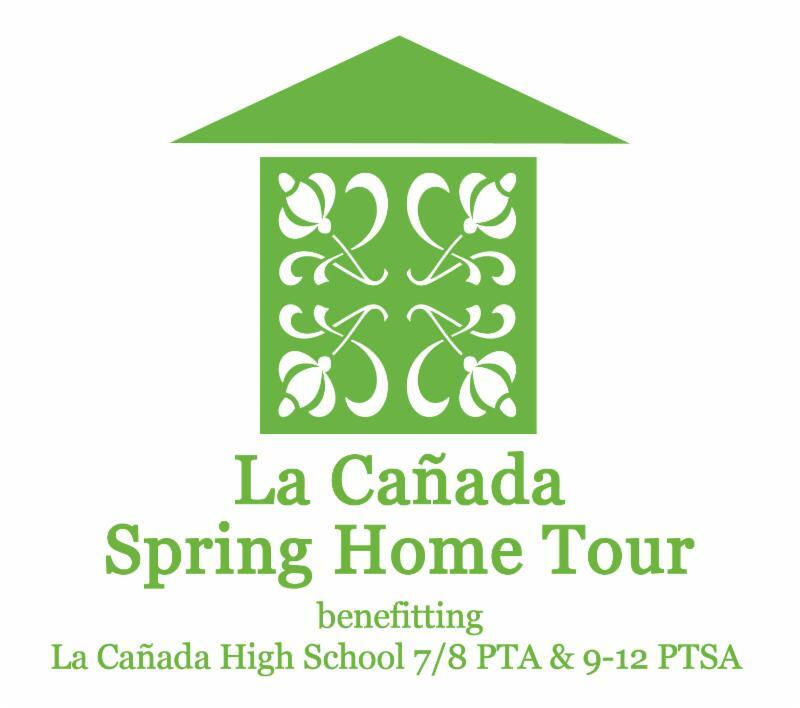 Go to PCY PTA Partybook button to sign up! 5/21 Early Dismissal - 11:35 a.m.
5/21 Open House - 6:30 p.m. - 8:00 p.m.
5/24 Spirit Rally - 10:00 a.m.